I used to think that quote from Joseph Lucas was reserved for Lucas automotive electrics – but I nearly experienced it myself. I could have been my very own prince of darkness. The story actually begins last year. I was doing a bunch of checks on the car to ensure it was road ready – did the turn signals work, did the headlights work? The answer to the headlight question was yes, but not great. I didn’t know why the headlights were so dim. Was it the fact that the headlights were worn-out old sealed beam units or if there was something else going on? I know the electrics on my late model type-1 are somewhat suspect. 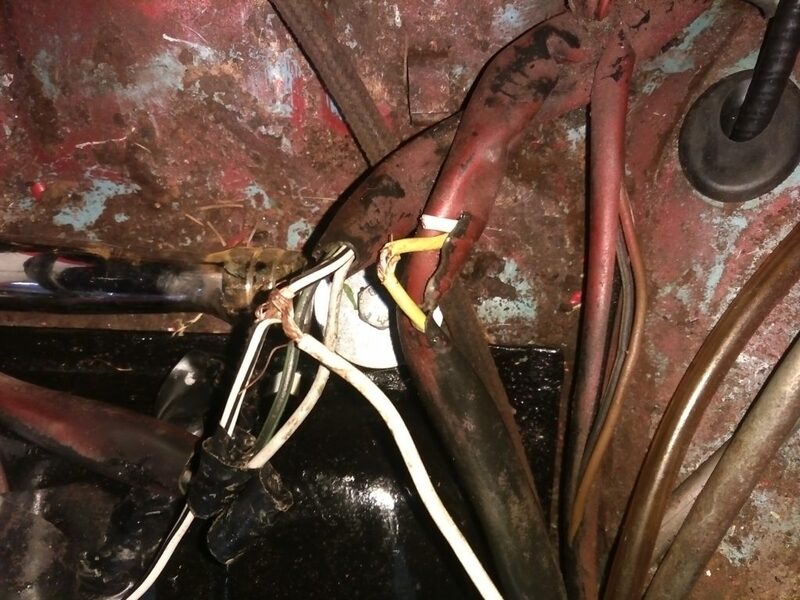 For one, it was formerly a fuel injected car, and some of the fuel-injection paraphernalia has been removed, and some wiring still remains, somewhat spliced together. It’s somewhat sketchy and needs some work. I didn’t suspect poor workmanship in the headlight system, I only suspected 40+ years of corrosion and bad grounds. I was kinda wrong on this one! This past spring, I made a trade for some Bosch halogen replaceable bulb headlight housings (H4’s), as I figured I could remedy the poor output with a more appropriate headlight system. One thing always leads to another on this car. 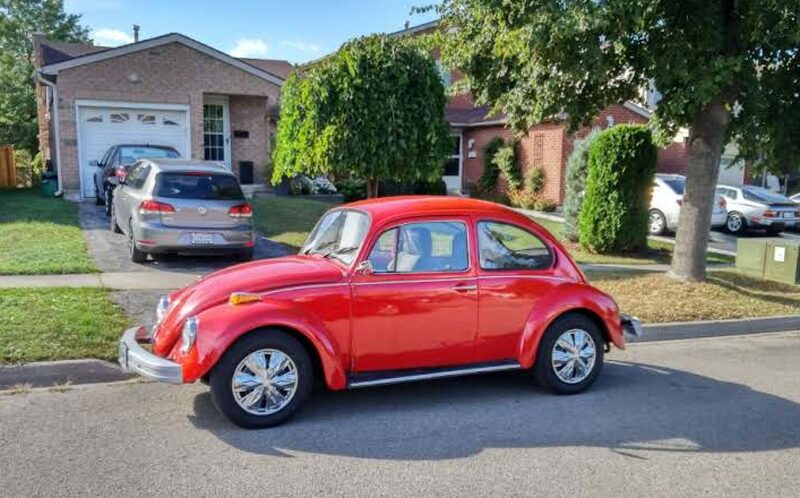 It’s probably like this on every bug that has had multiple previous owners. Some repairs that have been made along the way have not been the most robust (to say the least). Regarding Ground/Earth – Each headlight has one! This is typically grounded under a screw in front of the gas tank (behind the spare tire on a standard beetle) for each side. I made the needed changes for the new headlights, but the lights were still pretty dim. I picked up some new bulbs, hoping that would help. H4 bulbs are the same as 9003 Bulbs, in case you were wondering. I decided to replace the wiring all the way back to the fuse box. This has got to help, I said to myself. In fact it did, indirectly. One thing you must do when working on an old car, is you must keep an open mind to where the problem could really be. Which could be ANYWHERE! While running the new 14 gauge wiring to the fuse panel, I removed (pruned) the existing headlamp wiring. I ran new wiring in new heatshrink tubing to be completely independent of any wiring hacks that had been done. And there it was! At the nexus of the harness for the left and right headlight, I could see a ball of electrical tape. Why is there a ball of electrical tape? What is it hiding? I can’t make this stuff up. Yes, the left low beam is fed from the right low beam. I had already removed the yellow right high beam that was wired to the left high beam before I took this picture. After removing the electrical tape, the four independent fused circuits supporting high and low beam for each bulb had been cut and spliced into two circuits, still protected by a the same small fuse. Even worse, this was simply just a wire twisted around another wire. What this really means is the headlights could have overloaded the fuse, plunging me into darkness. I’d probably act pretty quick if it was dark, and try the high-beams. They were hacked in the same manner! I’d be quickly plunged into darkness again. Or worse, the dreaded electrical fire could have started. I completed running new 14 AWG to each headlamp, and I get a somewhat uniform distribution of light between to the two lamps. I even ran the grounds away from the stock location to up behind the dash, where the metal is less exposed to the elements. While I had the headlamp fixtures apart, I burnished the adjustment screws and cleaned up the hardware. I wire-brushed and cleaned up the adjustment tinwork. I applied some fresh paint, just to preserve them a bit longer. It’s a pretty basic repair, but it could have really left me stranded. I can’t imagine troubleshooting that mess in the dark on the side of the road. If your headlights leave you nonplussed then you should definitely have a look at the condition of the circuit and make sure it’s in good working condition.